ALERT: Diet Pepsi Removes Aspartame And Replaces It With An Equally Dangerous Chemical! With awareness on health streaming across the Internet, Pepsi has finally seen the writing on the wall. Consumers want healthier choices, so the multibillion-dollar soda company announced that they’re ditching aspartame, which has been linked to serious health problems. 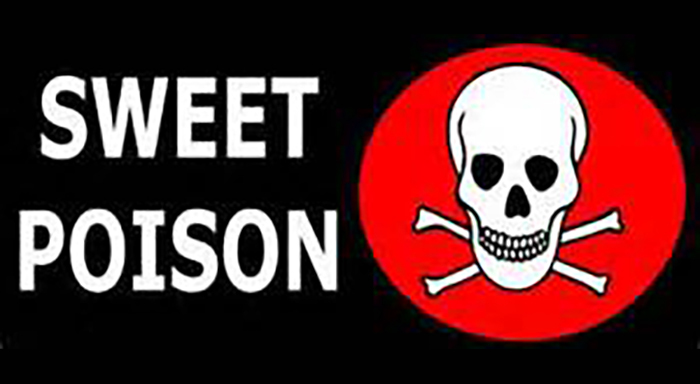 But with fancy marketing, and deceitful claims, Pepsi has announced a “healthier” alternative to sweeten their drink. According to Pepsi executives, the new drink will hit store shelves this August and will taste the same as the old one. So which new sweetener did Pepsi choose for their drink? Unfortunately, what they have chosen is just as harmful as aspartame. The sweetener Splenda will now be added to diet Pepsi, but is not much better for your health at all. Splenda is actually a result of a five-part laboratory process that takes an original sugar molecule and adds three molecules of chlorine to the mix, turning it into something unnatural and foreign to the body. Your body will have no way to properly metabolize it. Splenda also has a habit of staying inside your body, as at least 15% of it is not excreted in a timely matter according to Dr. Joseph Mercola. In 2013, the Center for Science in Public Interest, downgraded Splenda from “safe” to “caution”, after it showed that Splenda caused leukemia in mice. Side effects reported by people consuming Splenda include gastrointestinal problems, blurred vision, dizziness, weight gain and even seizures. Splenda, a.k.a. sucralose, may sound harmless enough, and certainly more pleasant than “aspartame,” but another sweetener being added to diet Pepsi, Acesulfame potassium, a.k.a. Ace-K, does not. Ace-K She is actually listed in the “avoid” category by the Center for Science in the Public Interest due to health concerns, the same category as aspartame itself. “It is poorly tested, but the test done by the manufacturer in the 1970s suggests that Ace-K poses a cancer risk as well,” said Michael Jacobson. It doesn’t sound like much of an improvement at all, does it? But Pepsi will tell the consumer that it is healthier, make the consumer think they care about your health, and make billions of dollars doing so. Unless you educate yourself on what is really going on, you will fall into their deceitful marketing practices and run out for this new “healthier” drink. The truth is, by drinking this soda, you still run the risks of cancer, obesity, diabetes and several other ailments. SHARE and educate the ones you love! Pacquiao And Mayweather Profiles – Who Do You Think Will Win?